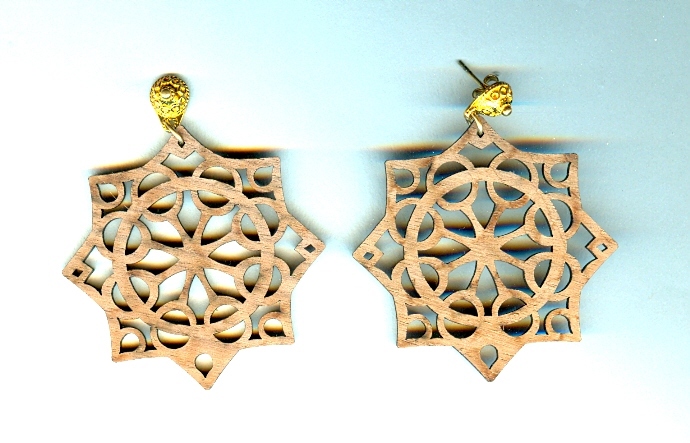 Rich walnut brown precision cut rosettes make exotic wide lightweight earrings. They look like something you?d find in a North African bazaar. The rosettes are a hair less than 2 inches in diameter. They dangle from ornate 14 kt gold fill post findings.